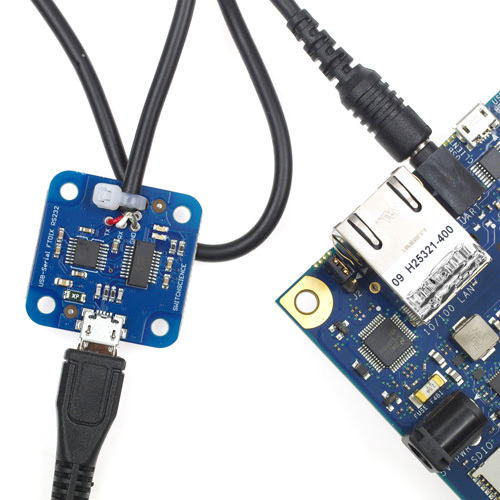 Notify me by email when USB Console Adapter for Intel Galileo becomes available. The Intel Galileo Development board has a serial console port to access the boot-loader and Linux prompt. However, it is not easy to access this serial console because the connector is a stereo phone jack and the signal is the RS-232C level. With this console adapter, you can connect this non-standard serial port to your PC via USB. You can access console port without soldering. The Gen 1 Galileo boards use a speaker jack to communicate and this unit converts it to a friendlier USB input for you. A must have item if you own a Gen 1 Galileo. Simple to use but just plugging in.